Jesus is the Christ, the Son of God, Immanuel, which translated means, God with us. Jesus came forth from the Father into the world as Prophet to testify to the truth. Jesus Performed Seven Signs in the Gospel According to John demonstrating God. Jesus turned water into wine (Jn 2:1-12). Jesus healed a Nobleman's son from dying over a great distance (Jn 4:46-54). Jesus healed a man who had an infirmity for 38 years that had made him lame, when Jesus had healed him the man took up his bed and walked (Jn 5:1-17). Jesus feed five thousand men with five barley loaves and two fish (Jn 6:1-14). Jesus walked on water across the Sea of Galilee or Tiberias (Jn 6:15-25). Jesus gave sight to a man who had been born blind (Jn 9:1-41). Jesus called a man who had been dead for four days out of the grave alive (Jn 11:1-46). Jesus made Seven I Am Statements in the Gospel According to John declaring God. 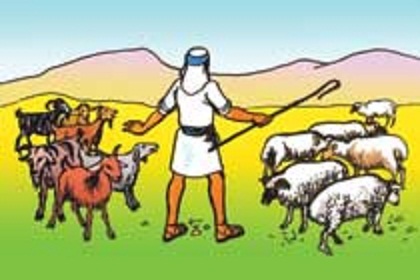 Jesus came forth from the Father into the world as Priest to redeem the sheep. All have sinned and fall short of the glory of God (Rom 3:23); the wages of sin is death, but the free gift of God is eternal life in Christ Jesus our Lord (Rom 6:23). Jesus lived a perfect life (2 Cor 5:21) and He died for our sins according to the scriptures, and He was buried, and He was raised on the third day according to the scriptures (1 Cor 15:3-4); and He presented Himself alive after His suffering, by many convincing proofs, appearing to His disciples over a period of forty days and speaking of the things concerning the kingdom of God (Acts 1:3). All authority in heaven and on earth has been given to Him (Mt 28:18); He ascended into heaven and sat down at the right hand of God, and is presently making intercession on behalf of everyone who comes to God through faith in Him (Heb 7:25). What you must do is repent; which means to change your mind. Receive Jesus Christ as Lord and Savior through faith. Jesus performed many signs in the presence of His disciples; one of whom was John, and he (John) wrote a testimony, about what he had seen and heard, concerning the Word of Life. Get a Bible and read it, beginning with the Gospel According to John, so that you may believe that Jesus is the Christ, the Son of God; and that believing you may have life in His name.